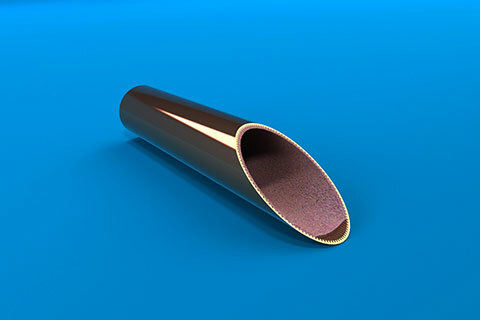 The standard shape for most heat pipes is of a thin-walled tube with a wick structure. The main purpose of the standard heat pipe shape is to efficiently exchange heat from the heat source to the heat sink for dissipation, i.e. a "pipe" for heat. Standard heat pipes can be bent in a variety of directions, inserted into finned heat sinks, or press-fitted into thermal module components for better surface contact with heat sources. 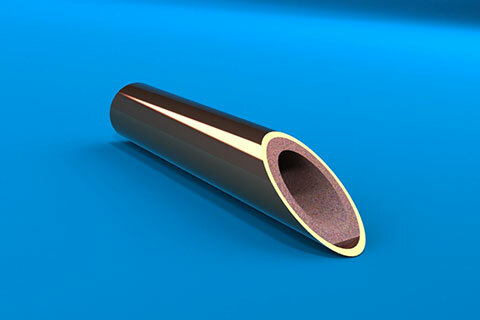 The tube can also be flattened to ensure more contact surface area with thermal interface materials (TIMs). This shape is the most flexible in terms of application, and most thermal modules make use of this type of heat pipe. 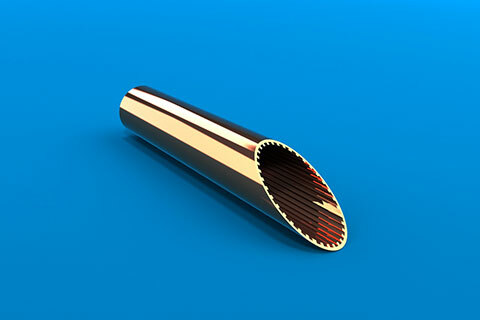 While the heat pipe's wick structure type can affect the efficiency of the heat pipe at various orientations, heat pipes have been used in many diverse industries, from industrial power IGBTs and power transformers to PC graphics cards, coffee maker radiators, and more. 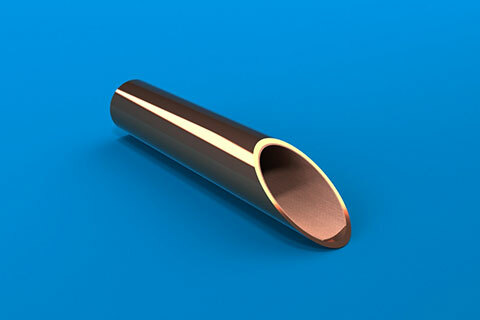 Novark uses oxygen-free copper tube (C1020) to manufacture its standard heat pipes. Due to the highly customizable nature of standard heat pipe design, please contact Novark for a custom design that fits your thermal management needs. The table below is a representation of Novark's standard manufacturing capability.